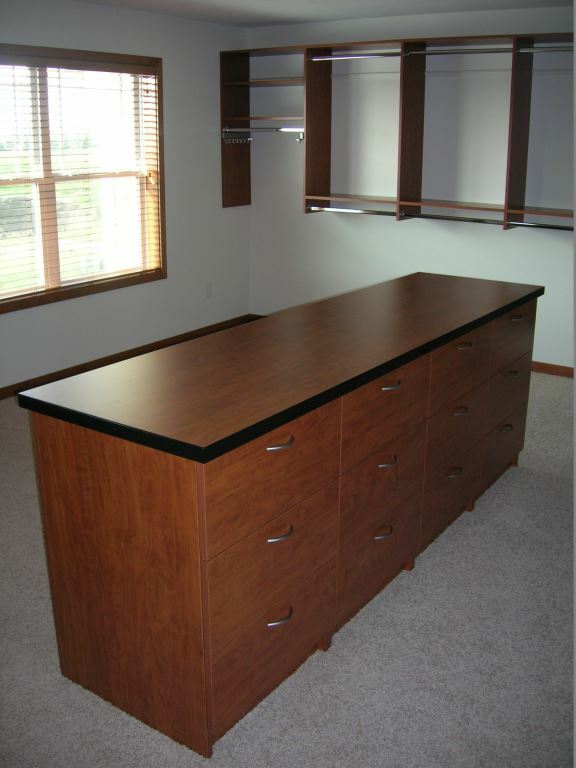 Here at Closets For Life, we like to say that there isn’t a challenging closet layout we can’t conquer. Our proclamation was recently put to the test (and thankfully conquered!) when a client came to us with a unique closet dilemma, two bedroom closets with curved walls. 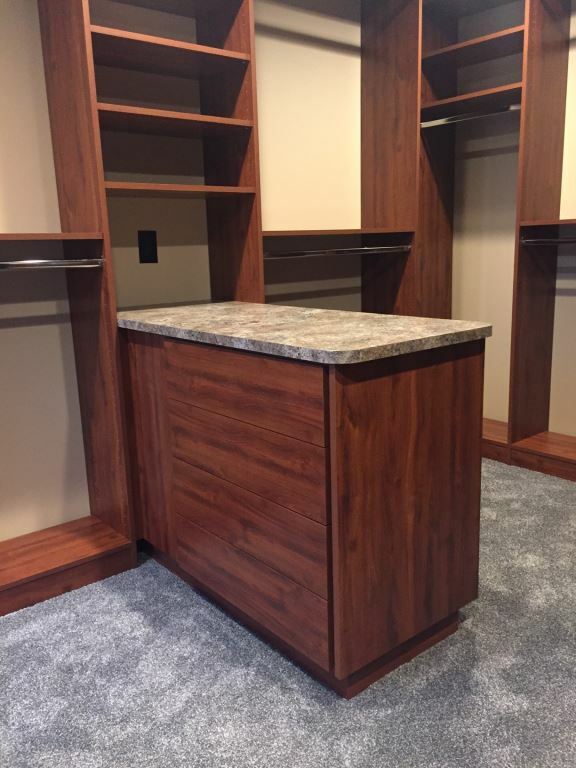 Luckily, with a bit of ingenuity, technology and good old fashioned experience, we were able to deliver a functionally beautiful closet system that answered our customers needs and upheld our commitment to prevail over challenging floor plans! 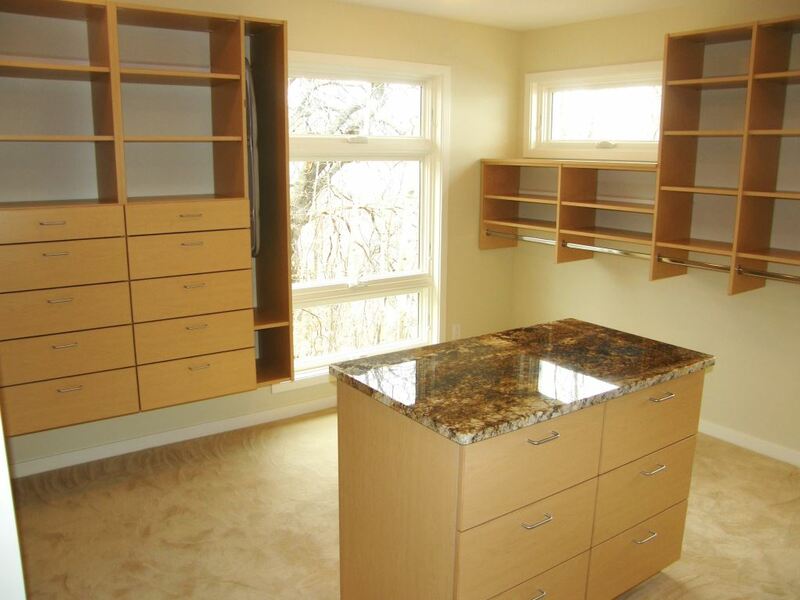 Our clients had recently purchased land with an old farmhouse and barn. 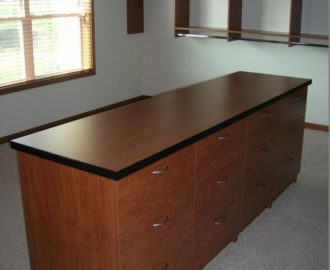 The home and barn were in poor shape and needed to be torn down. 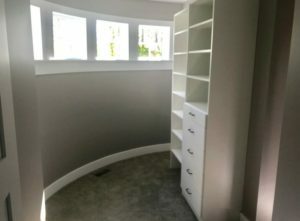 Inspired by the original infrastructure, they built a new home styled like a barn with a silo addition attached in the location of the previous silo. While we completed several custom organization projects within this stunningly unique home, including a master bedroom closet, a mudroom closet, a home office and a guest room closet, the project that posed the biggest design challenge was the two young girls’ bedroom closets. The girls’ rooms were located in the silo portion of the home which featured curved walls all around, including curved walls along the back wall of the closets. 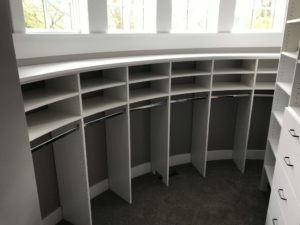 How do you go about designing a closet organization system for curved walls? Very carefully! A bad joke we know, but actually very true. It all came down to precise 3D laser measurements. 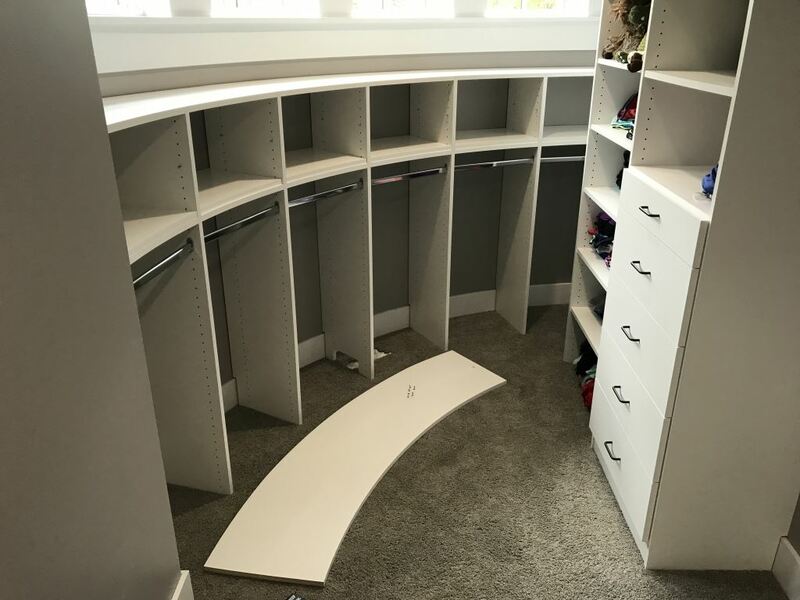 While accurate measure measurements are always important in designing a custom closet system, when taking into account curved walls, having exact dimensions was even more critical. We used a 3D laser to create very precise measurements to base our design on, and to create a file that would instruct the CNC, an automated machine, how to cut the curved shelf of the closet design. 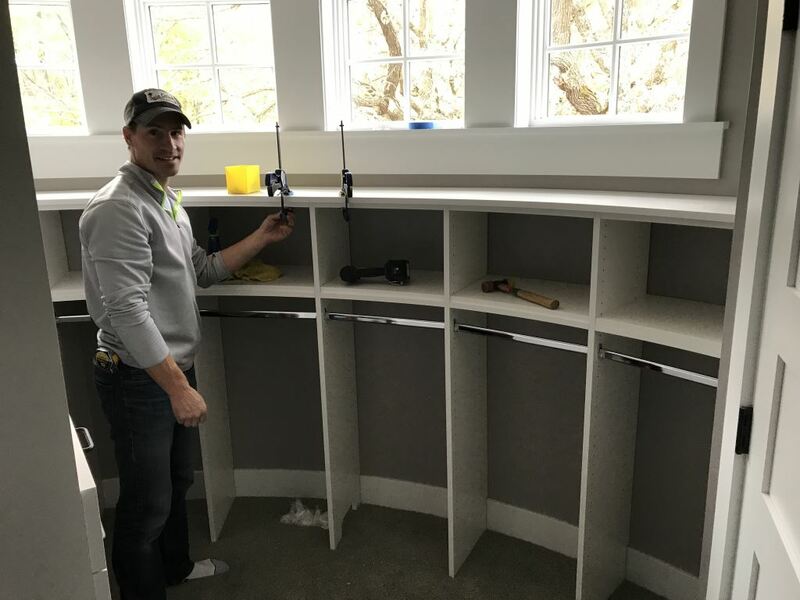 As you can see from the photos below, we divided the lower section into segments which, combined with shorter sections of closet rod, allowed us to accommodate the curve of the wall. On top of this sits meticulously measured curved shelves that hug the wall to perfection. 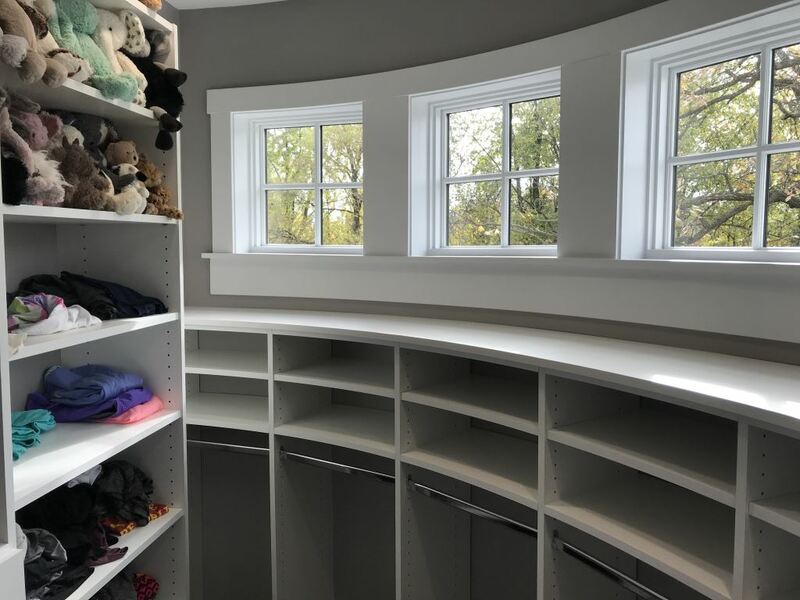 Completing the design is additional open shelving, drawers and storage on the straight inside walls of the closet, providing ample space for stuffed animals and, of course, clothes! 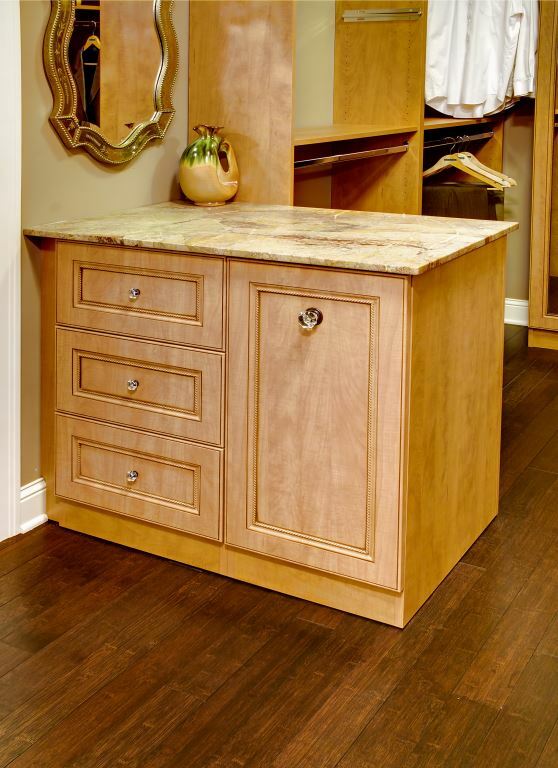 Together, the custom closet system design blends perfectly with the space. 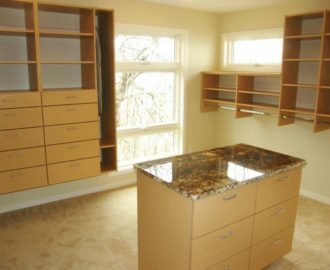 An ‘Out of the Box’ Project, Literally! 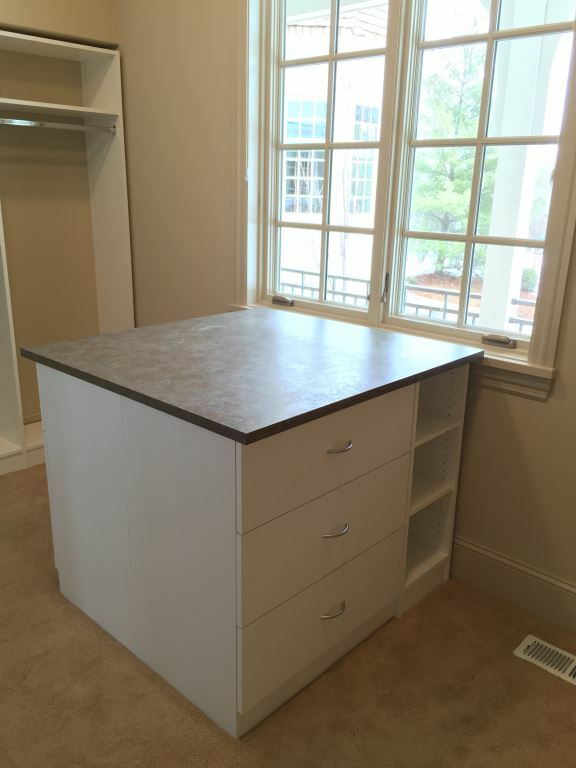 In the world of closets, it’s always a pleasure when we get the opportunity to work beyond a rectangular space. 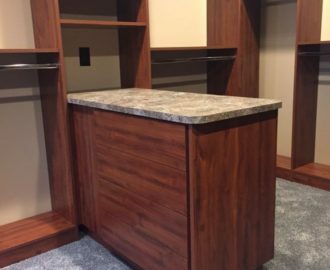 Projects like this, where we literally get to work ‘out of the box’, allow us to get creative while utilizing our years of experience knowing what will work and what won’t. 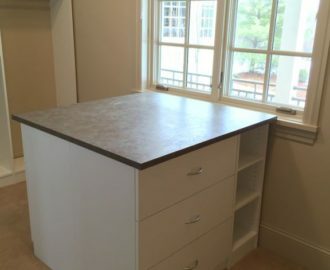 Whether you have a challenging floor plan like curved walls or sloped ceilings, or a standard floor plan, you can be assured that we’ll work with you to create a custom organization solution that uniquely fits your needs and your space, every time. 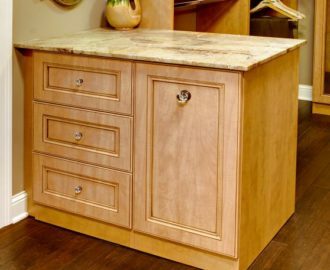 Contact us about your custom organization needs, we’d love to hear about it!